Getting “Big Mo” to show up at your door has nothing to do with luck. It has everything to do with your actions, your habits and your traits. These are things that every single person can cultivate. So let’s dive into the process of inviting “Big Mo” to knock at your door. 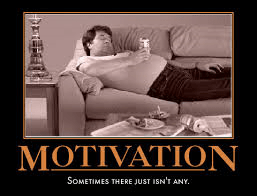 One example of the objects at rest noted in the book was couch potatoes, and it is a perfect example of keeping “Big Mo” not only out of the house, but in the next county. We all know at least one (or three) couch potatoes. These are folks you that are magnetically attracted to the couch every night at 6 PM, and they stay there until they can finally manage to get up and go to bed. These are the same people that would never dream of working on their business in the evening. After all that’s their free time; time to kick back and relax and watch some TV. You also won’t find them listening to a webinar, getting some direct mail letters ready to send out, or reading the newest book on real estate or business building. Not them; they aren’t budging. These folks will never see that magical thing called momentum show up in their lives unless they make some serious changes in their habits and routines. On the other hand, if you head on over to a busy park on a nice day you will see something much different. Find the merry go round that we all loved to jump on when we were kids. Watch how most of the kids will jump on and wait for something to “magically happen” to get the thing moving. Sure enough if you stand there long enough, you will see a tiny “Big Mo” mover and shaker dig his heels in and start to push the merry go round. At first it is really hard. In fact you can h ardly see any movement. After a while, slowly it begins to move. Little by little momentum kicks in. Then you can see the little guy that has done all the hard work pushing and shoving the merry go round has to run to catch up and jump on so he can ride. That’s “Big Mo”. Once it kicks in, it will be almost impossible to stop you. You will be unbeatable. This explains why the rich get richer and the lucky get luckier. They have finally harnessed the power of “Big Mo”. What is the hardest part of this formula? It is consistently taking those small, seemingly inconsequential actions every single day even when you aren’t seeing results. If you’ve ever been on a diet you know exactly what I’m talking about. You’ve been diligent all week cutting back on all the junk and adding lots of fruits and veggies to each meal. Every evening you get your 30 minutes of exercise. Then the moment of truth comes when you step on the scale; what? You’ve only lost one pound? What usually happens next is that you go get an extra big piece of cake or a couple glasses of wine (and some nuts). Instead of saying, “If I continue to lose 1 pound a week that will be 52 pounds in a year” and starting fresh the next day, we get the cake or the wine (or both) and throw in the towel. 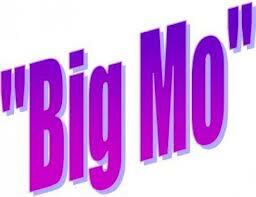 So Exactly How Do I Get “Big Mo” to Show Up In My Business? It’s actually not as hard as you think, but it’s not simple to implement and it rarely happens over-night. All of those “over-night success stories” have usually been years in the making; they involve slow, deliberate steps taken consistently over time. 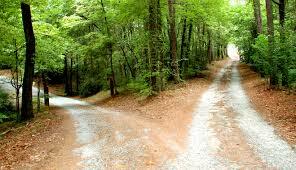 Make your choices based on your goals and values, and do these things until they become habits. If you stick with these habits and routines every day, over time you will see the compound effect in action. Start today to get ready for “Big Mo” when he shows up. You know what they say; luck favors the prepared. Hey Sharon – thanks for the inspiring post! It is so true that just consistently doing the little things that sometimes don’t seem that important can lead to big success. Please keep writing these great posts. Thanks for reading and leaving your comments Lisa.